Sign up today to exercise your leadership in changing the course of the planet's future. Find out the latest National results on AIA KnowledgeNet. The AIA National document, An Architect's Guide to Integrating Energy Modeling in the Design Process, provides a step-by-step map to understand how to incorporate energy modeling into the design of all building types. The guide, Deep Energy Retrofits: An Emerging Opportunity, An Architect's Guide to the Energy Retrofit Market, describes the process of building energy renovation projects and the role architects lead in the process of upgrading building systems, equipment, and components. Department of Energy (DOE) Building Tools Directory is a comprehensive list of software available for whole building energy simulations, many can generate a building's energy use index (EUI) for Commitment reporting. 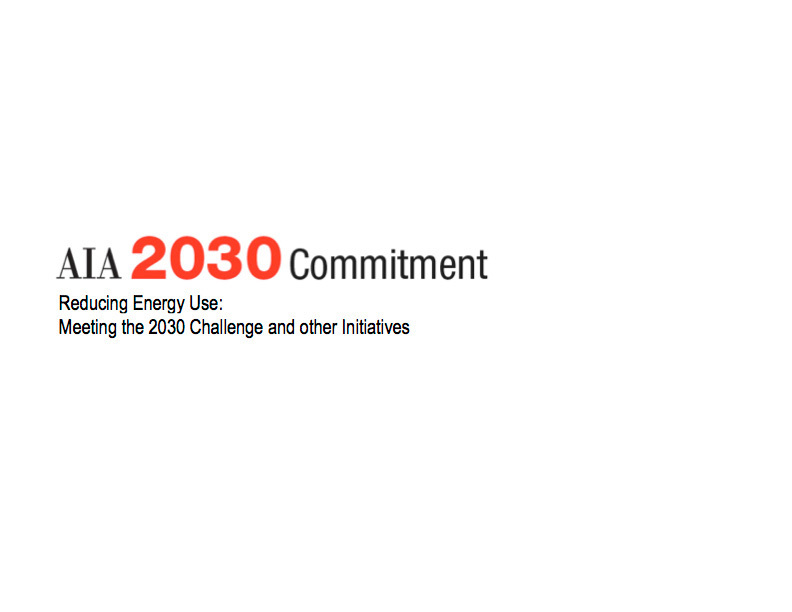 Listing of Energy Modeling Programs, created by the Chicago 2030 Working Group, is a downloadable PDF, which acts as a guide not an endorsement, to a number of energy simulation programs which can generate a building's EUI. 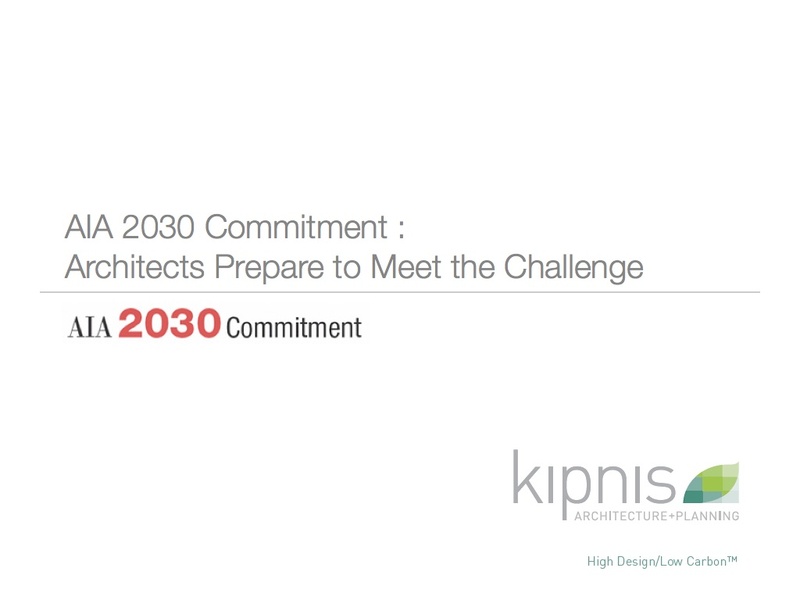 Read Mike Davis' blog - an insider view (of a Bostonian) towards meeting the AIA 2030 Commitment. 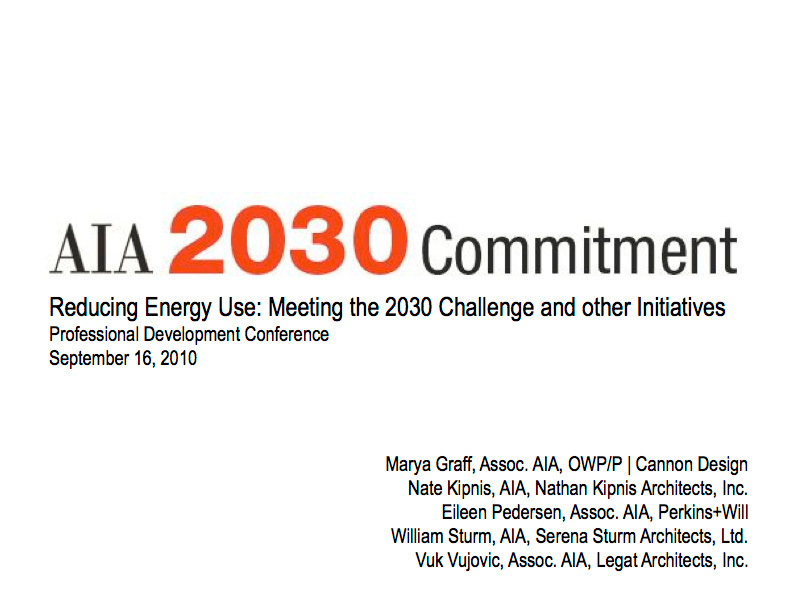 AIA Chicago's 2030 Commitment Working Group has presented the Initiative at a number of different venues. We have included some of the most recent presentations here as downloadable PDF's to assist in your understanding of this initiative and how it can improve the performance of your firm.